Moolah. Scratch. Coin. Dough. Yes, money. When we’re talking about Beer Cheese Festival though, we like to call it cheddar! 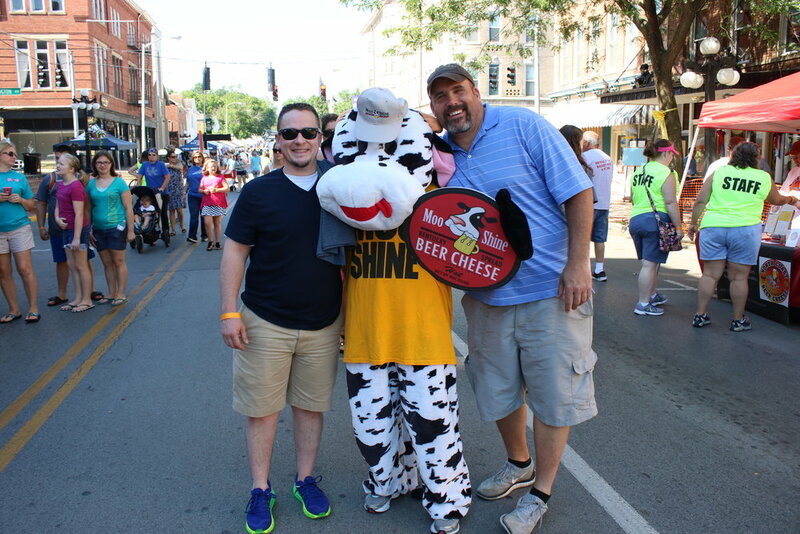 The Beer Cheese Festival has been a staple in Downtown Winchester for a decade, but did you know that it’s a fundraiser for Main Street Winchester? Read on for more fun FAQs about how Beer Cheese Festival (BCF) funds are used to enhance Downtown Winchester, who decides where the money goes, and more! Q: What kinds of projects have you done thanks to the Beer Cheese Festival? Maple Street beautification projects: landscaping at the Maple Street entrance to Heritage Park, enhancement to WMU property, façade improvement of Economic Development office (2. S. Maple Street). Learn more. Q: Do we zero out the account every year? A: Nope. We try to be good stewards of the funds. We allocate funds each year for projects, then save the rest. By doing so, we’ve built the fund up over the last decade so that we have been able to do some really BIG things like contribute $50,0000 to the Downtown Development Investment Fund. Q: Who decides how the money is spent? A: The Main Street Winchester Board of Directors. Q: Who created the Beer Cheese Festival? A: In 2009, MSW (then known as Winchester First) invited guest lecturer Kent Burns to visit and speak with the board. He recommended that we come up with an independent stream of revenue outside of the City’s budget, just in case the City ever decided to pull back its financial support from the program. It also gave us a pool of funds that is not tied to tax payer dollars. This freed us up to do a variety of projects. The Promotions Committee/Downtown Business Association (which were a combined unit at the time), brainstormed and landed on the Beer Cheese Festival – a celebration of the birthplace of beer cheese. Brilliant! It was a successful fundraiser right from the start! Q: Who runs the festival? A: The festival is organized by a devoted group of volunteers and MSW board members known as The Beer Cheese Festival Committee, which is a subcommittee of MSW’s Promotions Committee. Main Street Winchester staff provides administrative support.